He Rescued Some of the World's Greatest Musicians to Create One of the World's Greatest Orchestras. Actor James Newcomb said, "There are individuals who come along in certain periods of time who advance the human spirit to the next level." Such an individual was Polish violinist Bronsilaw Huberman, recognized, alongside that of Heifetz, Szigetti, and Kreisler, as among the great violin virtuosos of the twentieth century. What is not widely known, however, is that Huberman was the driving force behind the creation of the Palestine (now the Israeli) Symphony Orchestra and who, in the process, rescued close to one thousand Jews from the Holocaust. This story is brought to our attention by Oscar-nominated director Josh Aronson (Sound and Fury) in the well-researched and often inspiring documentary Orchestra of Exiles. Shot in Germany, Poland, Israel, and New York, the film chronicles Huberman's life using clips from musical performances, dramatic reenactments, rare archival footage, and interviews with such artists as Joshua Bell, Itzhak Perlman, Zubin Mehta, and Pinchas Zukerman. 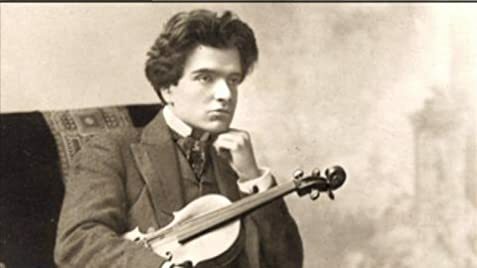 A child prodigy who played Brahms Violin Concerto in front of the composer at the age of twelve, Huberman went from being a self-absorbed musician catering to high society to a man of humanity and political awareness after suspending his concerts, studying at the Sorbonne, and witnessing the calamity of World War I. He said in a letter, "I had to descend into the furthest depths of my soul to find the hidden link between my impulse towards art and my impulse towards politics, and then I made a huge discovery. The true artist does not create art as an end in itself. He creates art for human beings. Humanity is the goal." Though he continued to perform, his life had taken on a new meaning. When Hitler began to weed out Jewish musicians from Germany's finest orchestras, Huberman took on the task of creating an orchestra in Palestine, then a British mandate, as a protest against Nazism that would be felt around the world. While the film documents an important chapter in the preservation of the Jews' cultural heritage, it is hampered by a hurried approach and dramatic reenactments that are, at best, stiff and distracting. While it is appropriate that the film stay away from politics given its 90-minute time frame, unfortunately, the issue of Arab resistance to both British colonial rule and Jewish immigration and the subsequent bloody uprising that resulted in the death of more than 5,000 Arabs, over 300 Jews, and 262 Britons from 1936-39 is glossed over as a series of "protests "or "riots." 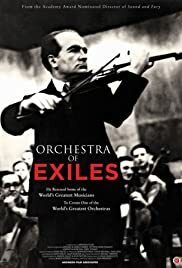 Despite its shortcomings, Orchestra of Exiles rightly celebrates the life of an artist who transcended his comfort zone to work tirelessly to preserve not only Jewish culture but a culture that belongs to the world. His legacy does not only rest in his saving of the lives of Jews and their families, nor even in the creation of one of the world's greatest orchestras, but in once again reaffirming the resilience of a people determined to overcome the hatred of their enemies and the crimes of their own leaders to transform the pain which cannot be forgotten.